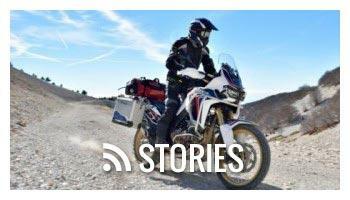 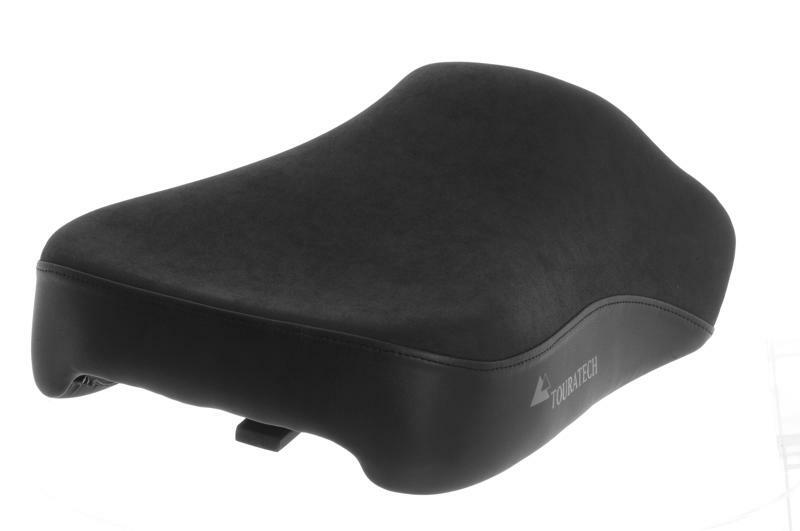 Yamaha Super Tenere XT1200Z Comfort Seat - The Yamaha Super Tenere XT1200Z is a fully capable, long distance touring bike, but has one weak point - the seats. 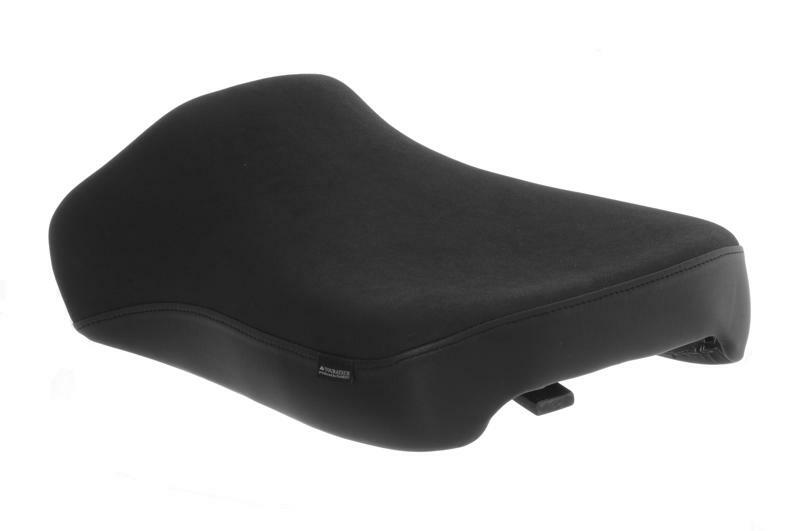 The stock seat is made of foam that is too soft, and is not shaped as ergonomically as it should be for long distance riding, creating 'hot spots' and pressure points. 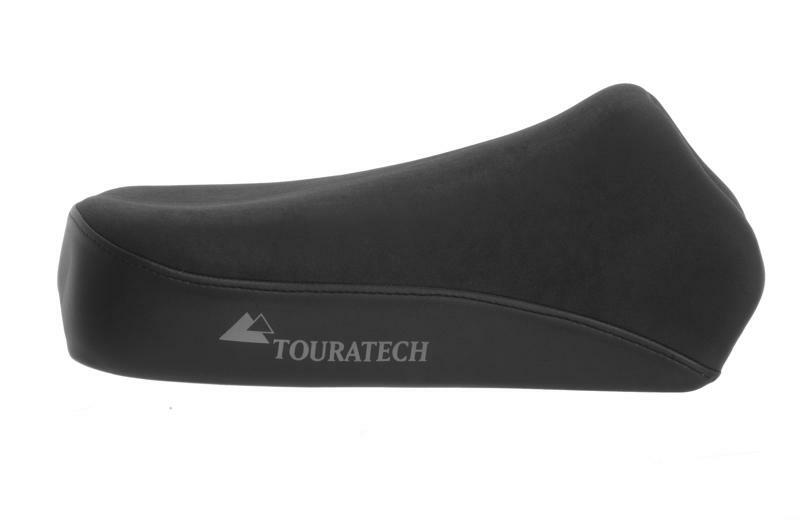 These comfort seats from Touratech eliminate all these problems for long distance touring by using a firm, high-quality foam and tested ergonomic shape for the maximnum long distance comfort. 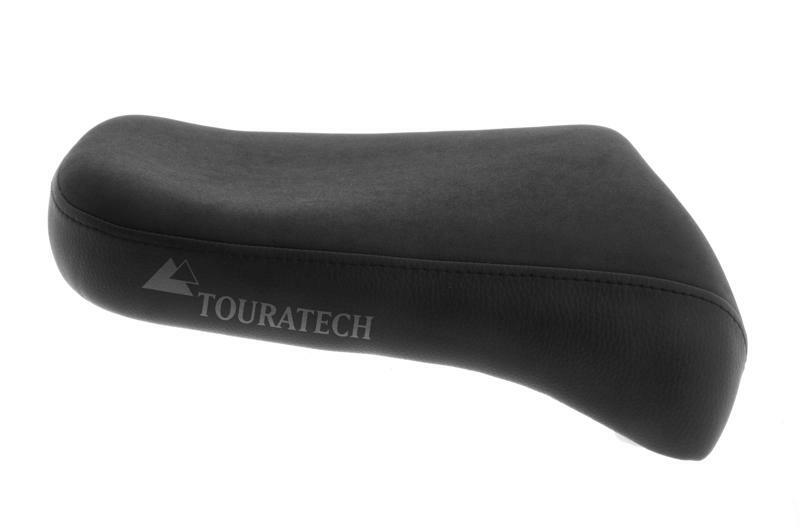 Touratech seats are purpose built for Adventure Touring and packed with features that are designed and tested by travelers and adventure riders in real-life conditions. 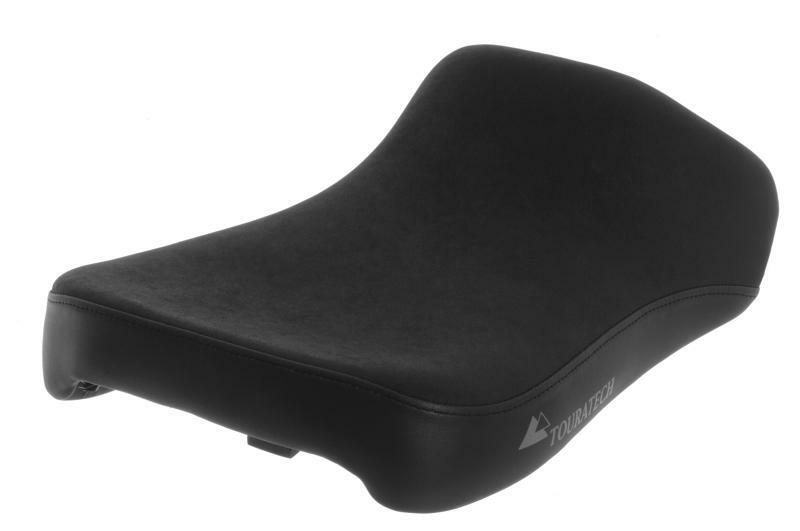 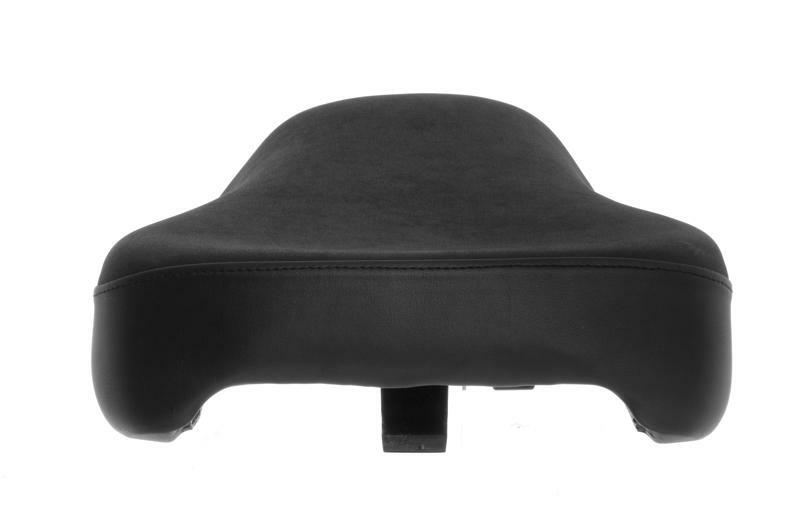 Proprietary high-density foam provides superior support – A touring seat should be firm. 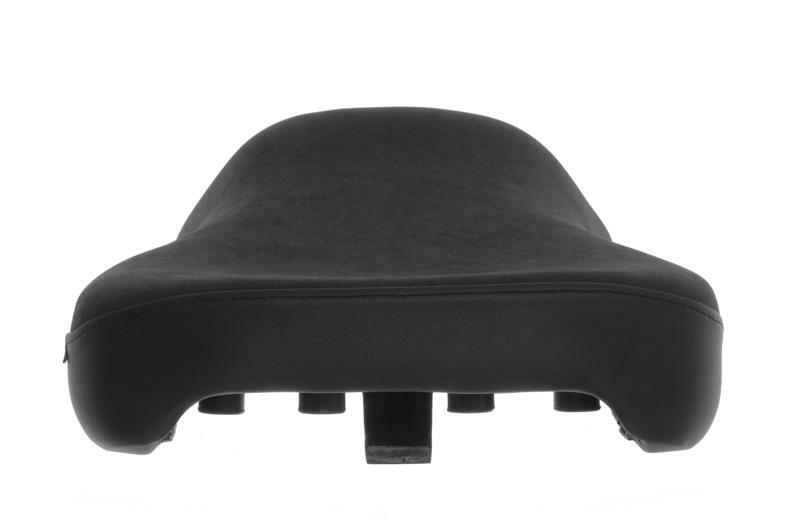 Seat foam that is too soft or “spongy” will lose support and create hot-spots as the miles stack up. 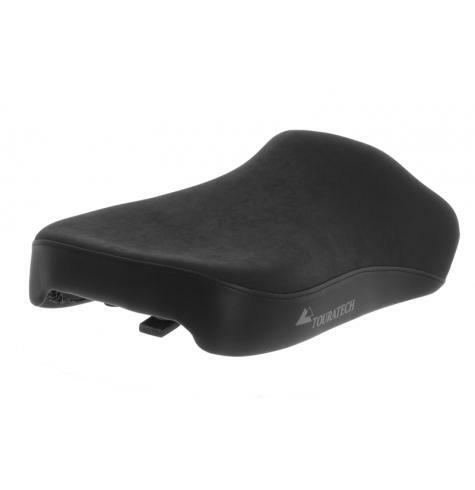 All Touratech seats are made from special high-density foam that will keep you supported and not bottom-out, no matter how many miles you ride in a day. 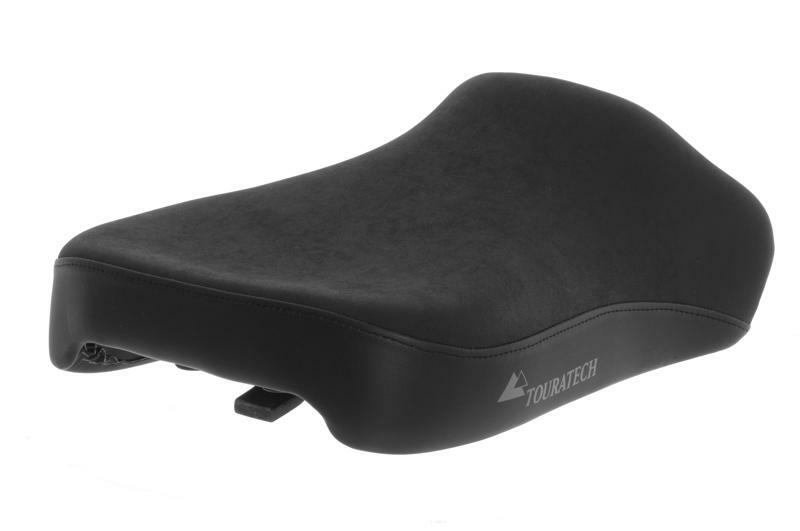 Specially contoured design for Adventure Touring motorcycles- Touratech seats are purpose-built for Adventure Touring motorcycles, since we know you’ll be riding a mix of on- and off-road terrain. 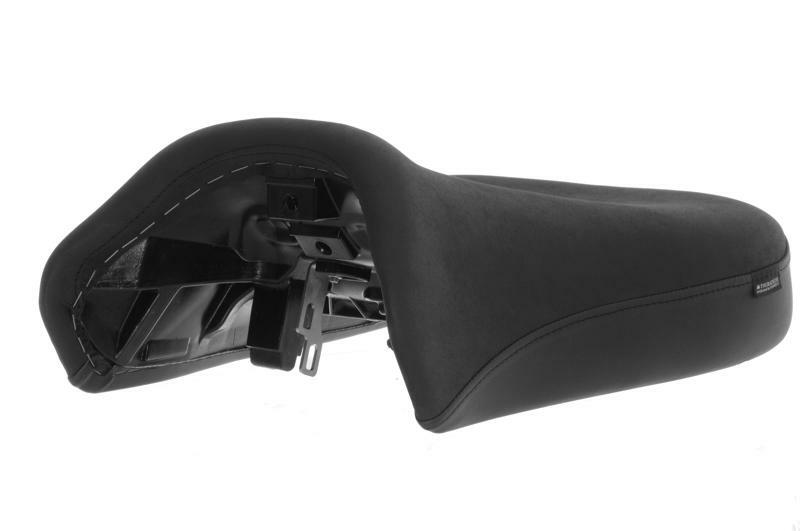 The seats’ special contours stay narrow in the front, right where they should, while staying wide in the rear for greater comfort. 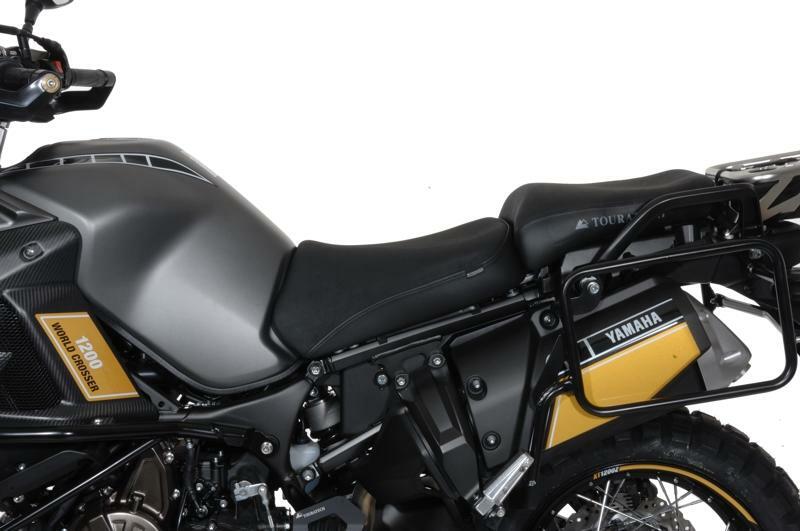 Other manufacturers who primarily build cruiser and street touring seats tend to make them extremely wide, making it harder to reach the ground with your legs while riding off-road. 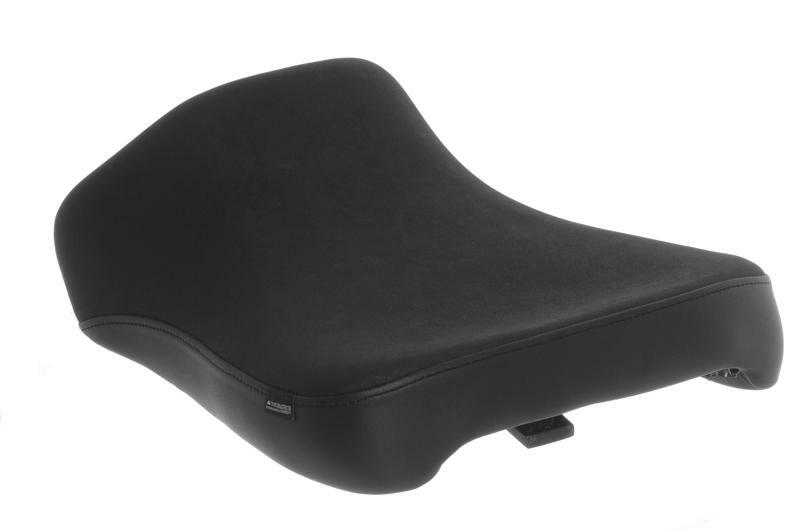 Perfect positioning of seams – Our seat designers know that one seam in the wrong spot can be a problem on a long trip. 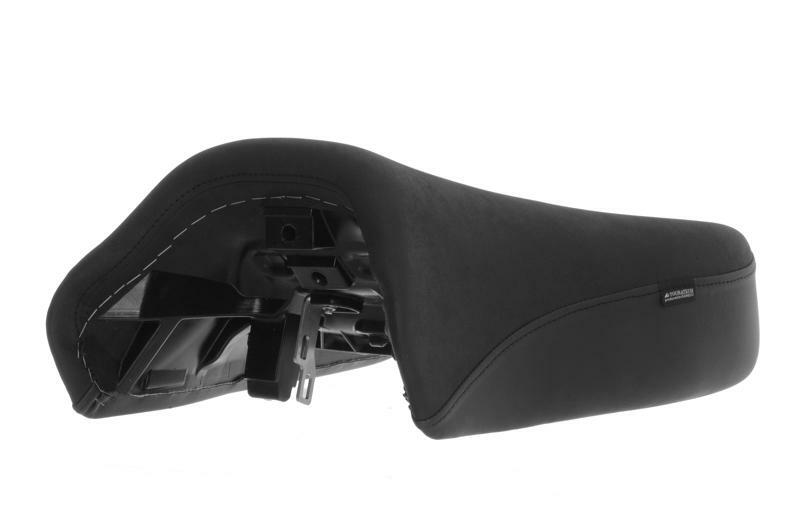 We design seats so that the seam locations are not in contact with you which maximizes comfort. 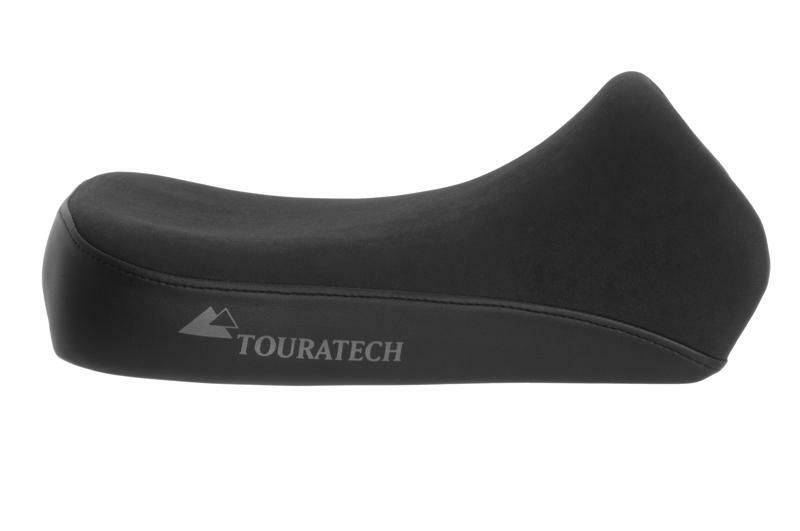 Durable, comfortable stretch cover – Touratech seats feature a two-way elastic, non-slip standard cover, which flexes enough for you to shift your body to stay comfortable. 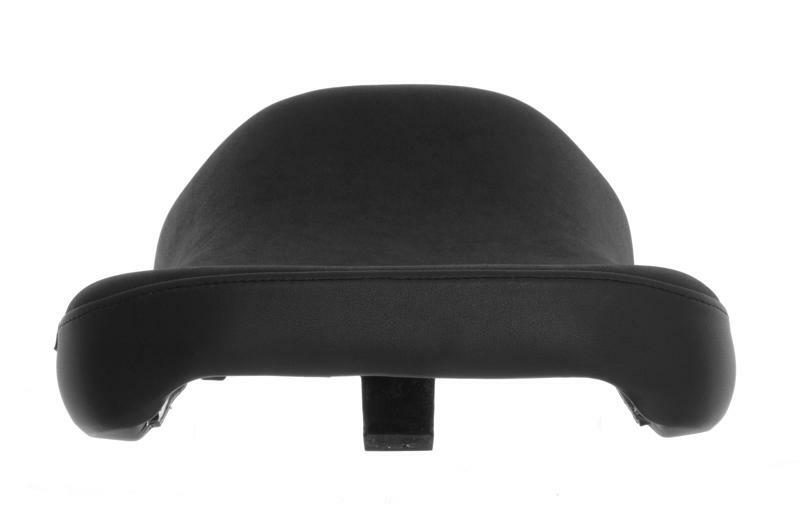 Three different height options - Whether you need more space for your legs to stretch, or want your feet planted firmly on the ground, we have a seat height option for you. 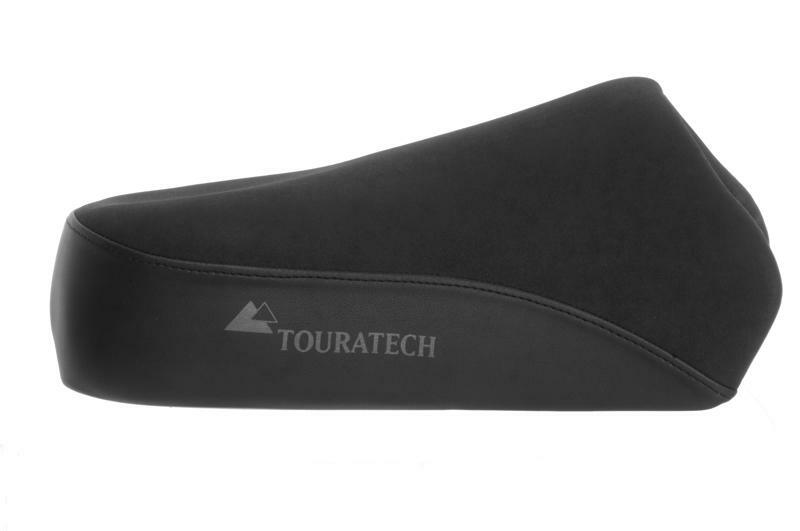 Touratech seats come in three different heights depending if you want your seat higher, lower, or the same as stock. 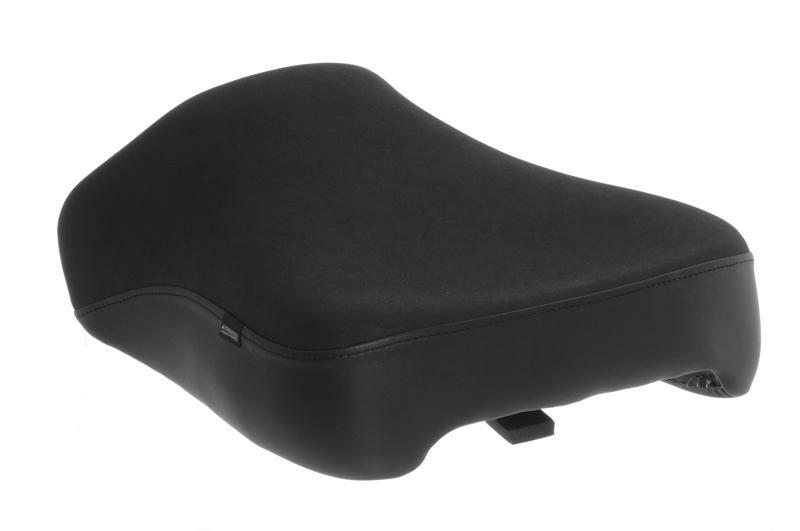 ­With the amount of time you’ll be spending in the saddle of your Yamaha Super Tenere, a comfortable seat is a great investment that will pay for itself every time you hop on your bike and hit the road. 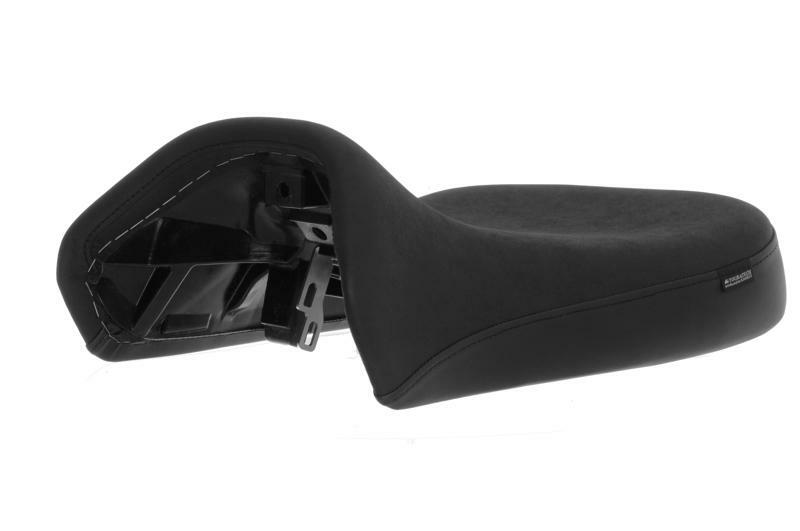 For instructions on how to measure the seat height and compare with your stock seat, click on the 'Instructions' tab above.